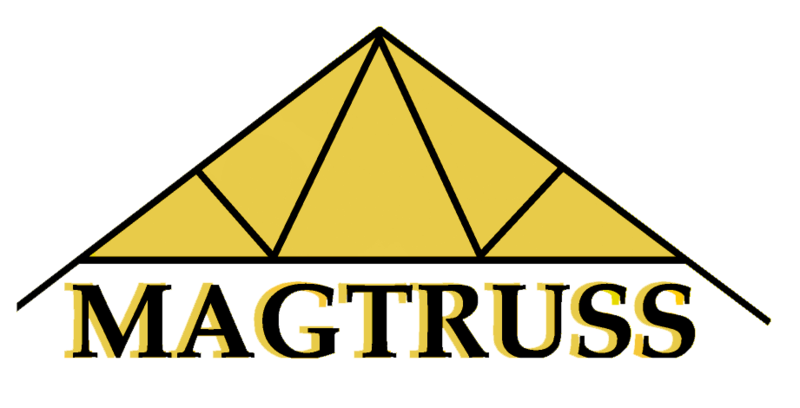 Magtruss Ltd, founded in 2001, has established itself as a leading, quality conscious, manufacturer and supplier of superior Roof Trusses or Trussed Rafters and Engineered Wood Metal Web floor joists under the Easi-Joist® banner. All our production is fully certified by the NSAI (National Standards Authority of Ireland) and CE marked to I.S.EN 14250:2010 and comply with the latest Building Regulations and the European Construction Product Regulations. We have been active members of the Irish Roof Truss Fabricators Association and are now inaugural members of the newly formed Trussed Rafter Association in Ireland (TRA in Ireland) which is associated with the long established and highly respected TRA in the UK, providing technical support and guidance to its members and the construction industry since 1995. With both our Prefabricated Roof Truss and Metal Web Easi-Joist® divisions working hand in hand, we offer the complete engineered timber solution, including design and structural calculations, working drawings and complete layout plans giving precise illustrations of each component and their location on each project, large or small. Our friendly and highly trained design team, take our customers competently and safely from design stage through to delivery on site. With our combined experience of over 100 years in the general timber industry and over 60 years in the field of timber engineering, you know you are in safe hands when you choose Magtruss Ltd as your Truss and Easi-Joist® supplier. Our customers can rely on the level of knowledge and expertise we bring to the table, when it comes to choosing a design partner and supplier on projects. Our design Software technology is provided by Wolf Systems Ltd (est. 1988) in the U.K., one of the most advanced and innovative companies in the field of timber engineering in the world. We use only kiln dried Scandinavian machine graded and CE marked C24 & TR26 grade timber in all of our engineered products. This timber is sourced from PEFC or FSC certified suppliers which means we supply only wood products derived from sustainable forests, thus ensuring the highest environmental credentials possible for our products.